With the help of UGA’s Office of Corporate Relations, Katie Jacobs (ABJ ’05), reconnected with the College of Family and Consumer Sciences, is sponsoring study abroad trips to Ghana and is serving on UGA’s new Entrepreneurship Board. Katie is also dedicated to helping her young employees at a local boutique, Cheeky Peach, advance their careers in the fashion and apparel industry by assisting them with their resumes, preparing them for interviews, and helping them make connections in the business. Through her engagement with the university, Katie has enjoyed witnessing the ways contributions and participation can help improve the life of a student. 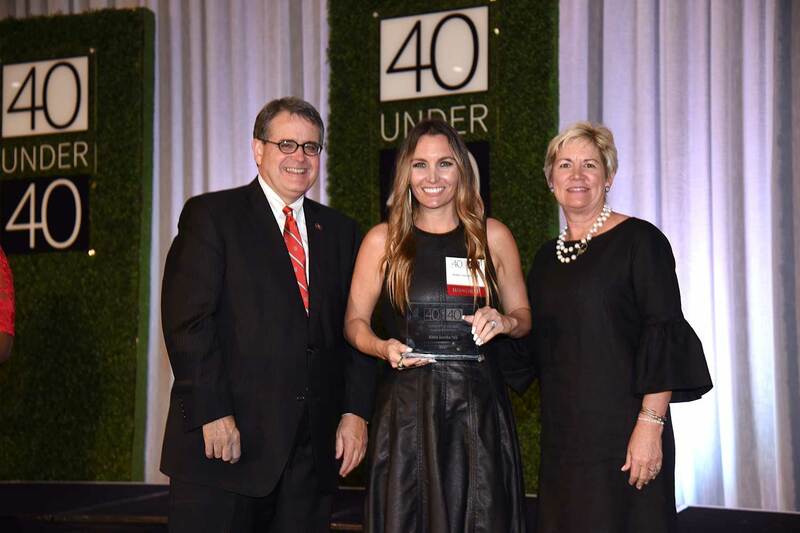 Katie Jacobs was recognized as a 40 Under 40 honoree in 2017. Her company, Cheeky Peach, was also a Bulldog 100 business in 2016, 2017 and 2018. 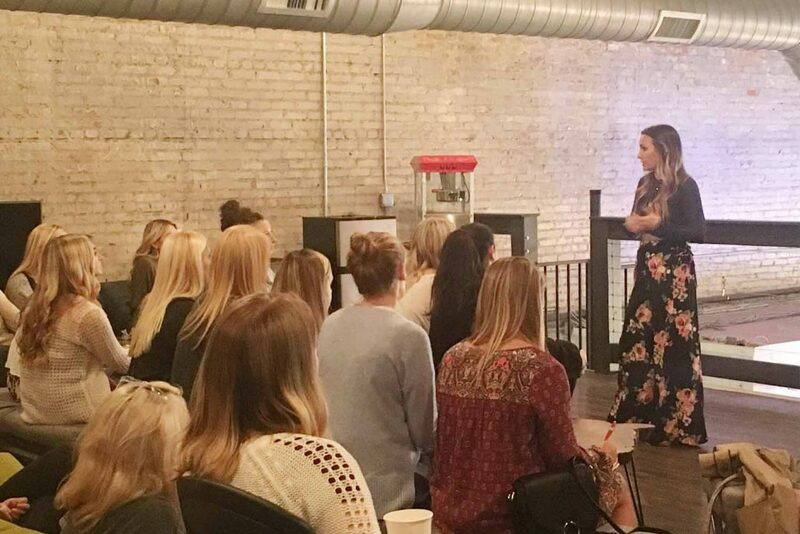 With the help of UGA’s Office of Corporate Relations, Katie began speaking to classes in the College of Family and Consumer Sciences, sponsoring study abroad trips to Ghana and serving on UGA’s new Entrepreneurship Board. Katie is now involved in numerous areas of campus. She has most enjoyed the opportunities she’s had to speak to students, most recently during the 2017 FACS Week, a celebration of the opportunities provided to students through the College of Family and Consumer Sciences. 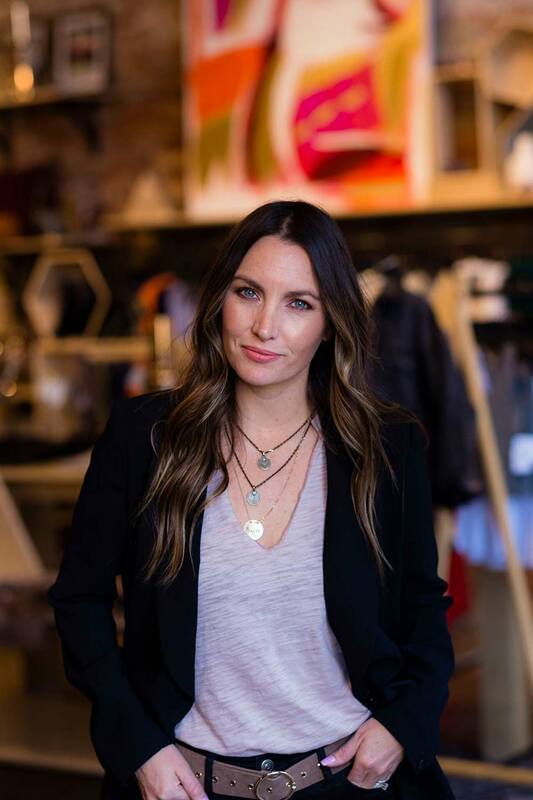 She’s also dedicated to helping her young employees advance their careers in the fashion and apparel industry by assisting them with their resumes, preparing them for interviews, and helping them make connections in the business. Through her relationships in the College of Family and Consumer Sciences, which is celebrating its centennial in 2018, Katie became familiar with the Ghana study abroad program. The UGA Corporate Relations team helped her establish the Cheeky Peach Scholarship Fund as a way to support a program in which she saw great value. This scholarship will support a fashion merchandising student studying abroad in Ghana this spring. The scholarship recipient will also have the opportunity to work with Katie to have garments made in Ghana sold in Cheeky Peach. "It's been re-energizing and inspiring," Katie said. "You realize the students in these classes, and those who work for me, are only 18- to 22-years-old. But they are so talented and are doing things that a lot of us were not doing at their age. Their abilities are mind-blowing." Katie’s latest passion is supporting the university’s focus on innovation by joining UGA’s entrepreneurship board. As Katie describes it, the board “provides student entrepreneurs with a supportive environment and a lot of resources.” Students in the program also have opportunities to enter contests to receive financial support for their ideas. Katie understands how alumni can feel disconnected from UGA after graduation. Through her engagement, she has enjoyed witnessing the ways contributions and participation can help improve the life of a student.